Last week, I celebrated my birthday. My husband and one of my best friends spent the day with me at The Wizarding World of Harry Potter in Universal Studios in California. The three days before my birthday were spent exploring Disneyland. And it was a good reminder for me to actively seek moments of joy, or as a friend of mine (and fellow mama of angel babies) calls them, the glitter. This birthday was very different from what I expected my birthday to be. You see, last year on my birthday, I was in New Zealand celebrating with my twin brother. We were celebrating that it was our 30th birthday, that we were leaving our twenties behind, and that I was pregnant. Even after experiencing an early miscarriage before that pregnancy, by the time we saw that first ultrasound the day we got home from our NZ trip, I had no inkling that I wouldn’t get to keep that baby. We’d made it farther than we had the previous time. We’d heard the heartbeat. We’d seen our developing baby. We were going to bring that baby home. This post was supposed to be about finding joy during grief. That’s my biggest grief right there: my babies. My journey with pregnancy loss often tries to steal my joys from me. Finding moments of joy in my journey with pregnancy loss is not about thinking at least I can get pregnant. I know I can. But getting pregnant and getting a baby are not the same thing. My heart breaks for those mamas who are struggling with infertility. Their journeys are devastating. But mine is too, in a different way, and I struggle with it daily. So, while I grieve the loss of my babies, of who they might have grown up to be, I’m also choosing to live my best life possible. Since our son was stillborn, we’ve done a few things to pursue joy and keep living for the future. I launched my freelance editing and writing business. We went away for a long weekend for our anniversary. My husband started a new job. We planned a fabulous vacation to L.A. and Disneyland. These big moments of joy are huge. Some of them are massive life changes. Some of them are expensive things that we are doing because we don’t have the expense of a baby right now. They give us other things to focus our energies on and to look forward to. Which is hugely important when your mind constantly wants to focus on the big negative things in your life. Along with those big things, I’m trying to take a little time every day to find the glitter. Sunshine. Puppy snores. A kind note from a friend. A sweet gift from a loved one. A tea date with a neighbour. Cuddles with my friend’s newborn baby girl. Hugs from my husband. A chocolate bar. Slurpee weather and a walk to get some frozen goodness. A hike in the mountains. A random ice cream outing. Snuggles on the couch. A funny movie. A library hold coming in. A good night’s sleep. A fully stocked fridge. A visit from my dad. A video call from my mom. New rainboots. A friend’s wedding. Hitting all the green lights. Car dancing. There are so many big and little moments of joy, even in the midst of the grief that never leaves me. The grief can get overwhelming some days. And when it does, I let myself sit and cry for a bit. But even on those days, there are bits of glitter, little joys, that brighten my soul and help me smile. If you need help finding those joys, subscribe today to grab yourself a free 7 Days of Glitter Gratefulness Journal. 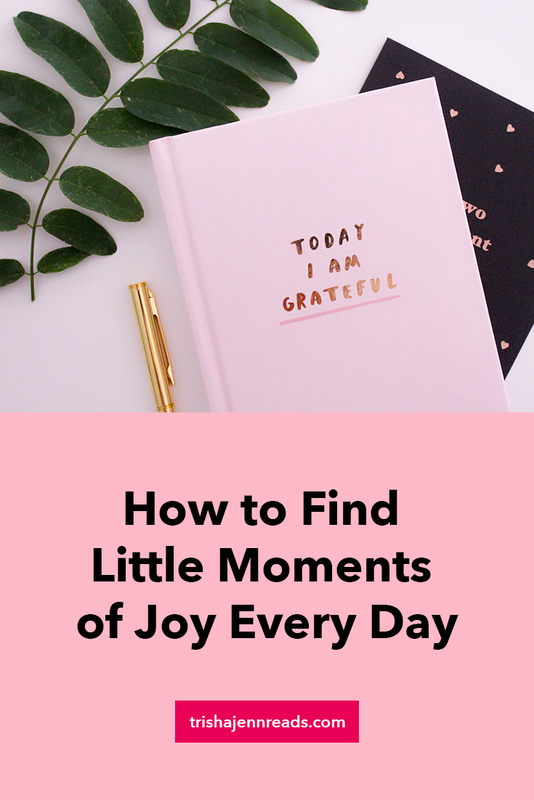 It’s an instant download that you can print at home and have on hand to document daily little joys. Try it out and see how writing down those bits of glitter that you find in your day helps cheer you, even in the worst of times. I promise not to spam you with emails and will never share your email with anyone. What bits of glitter have you found in your life lately?